Here's what I'm working on right now: a slant-sided, hexagonal box with a lid. 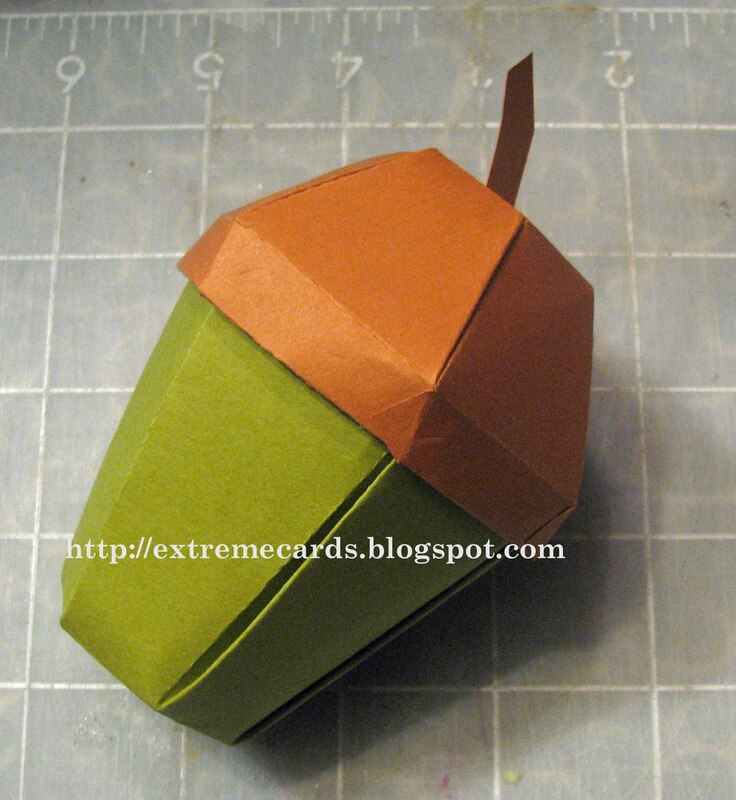 Someone on the Make-the-cut forum posted several acorn shaped boxes and wondered if anyone could draw up a template. So I took a stab at it! I remembered a discussion on Splitcoast stampers awhile back and pulled up that box template to use as a starting point. It's a pretty challenging box to put together. You can buy the one that provided the inspiration, by Jessica Wolf, at PaperAcorn. It has a much nicer lid than mine :0! With a few changes to the top to make it more domed, and to the bottom to make it more squat, it can be a cupcake shaped box, too. It's still in the prototype phase. Got to tweak the template here and there. Tutorial should be up this week.